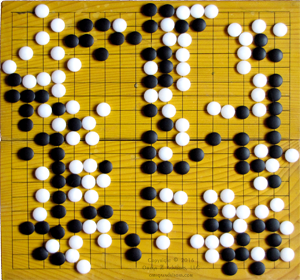 Go is the most complex strategy game. It surpasses Chess by far. There are more possibilities in a game of Go than there are atoms in the universe. Thus, it offers huge challenges for artificial intelligence (AI). Recent successes though give valuable decision making tips for humans. As of this writing, AlphaGo, Google’s AI system has beaten a top-50 Go professional. It is now taking on one in the top five. As recently as 2014, experts did not expect this for another ten years. There are decision making tips for humans in the way artificial intelligence has learned to play the strategic game of Go. Google did it with better coding, not faster processing. Their coding of thinking and learning processes give four breakthrough decision making tips. Go differs from Chess because AI can quickly crank through all the moves in Chess to find the best one. AI cannot do that with Go. Even looking seven moves ahead, Go has almost a million times more options than Chess does. Therefore, AlphaGo selects a move from a set it figures has a high probability of success. It is not the best one but still a great one. People often waste time trying to find the best decision. Uncertainty will always exist. The best decision could be deciding to make a decision. AlphaGo draws on a huge database of past games by humans. Themes emerge from a large, diverse set of games, of experience. It is a natural bias though to draw outsized conclusions from only a few experiences. Seeing a flipped coin land heads three times and concluding the coin must always land heads is like this. A little experience can lead to wrong conclusions. The sample size is too small. It can be worse than no experience. AlphaGo has two separate networks that tap this database of games. They play against one another to challenge its potential moves. AlphaGo can assess them better this way. This is similar to the wargame exercises the military does. In business though, the organizational culture might see this as bad politics, negativity or insubordination. Finally, whether AlphaGo plays against itself or humans, whether it succeeds or fails, it builds its database. The two networks inside it play continuously better against each other. AlphaGo plays better against humans. This has given AlphaGo a severe edge over other AI systems in tackling Go. The importance of this to AI begs this question: Do businesses challenge previous decisions enough to learn from them? 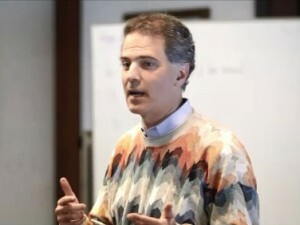 It is easy to say these decision making tips do not apply because computers differ from us. Yet, as we program computers to be more like we are, we learn more about us. For instance, breaking down tasks so we can code them helps us learn more about the tasks. This is what we do when we teach others. We break the task down into smaller parts. Why can’t AI do the same for us with our thinking processes and decision making?